I’ve come to the conclusion that the smaller the knitted item, the more likely I am to finish it. 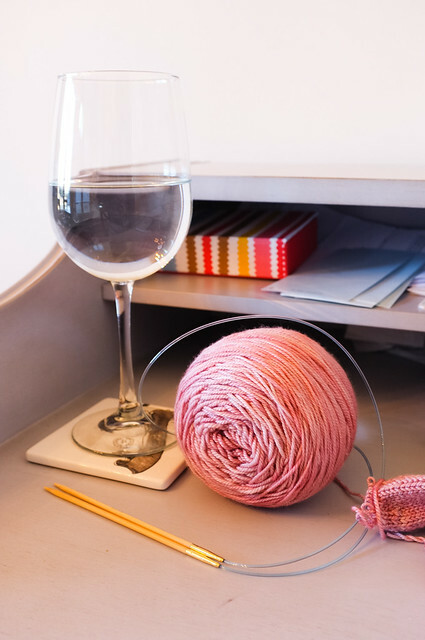 I’ve always had start-itis, and its hard to have gratification in a timely manner with many knitting projects that can take weeks, months, if not years. I enjoyed the project size ranges in my book Just Like Me Knits (socks, hats, sweaters to jacket), but wanted to go in a slightly different direction for my next projects. I’m focusing on smaller items, and smaller stitches! I love a sock weight yarn knit on size 6 needles, or size 1 needles. I love to explore the various drape and fabric created by simply changing the needle size. A very tiny project, knit in Madelinetosh Pashmina. I’ve always liked smaller needles and smaller stitches. I love how light the seams feel, and how the finer fabric ads less weight to body shape when worn. Texture is also greatly effected by stitch size. A seed stitch can look quiet different on tiny needles, then on bulky ones. My new shelf, which is yet to be put up on the wall behind my desk. 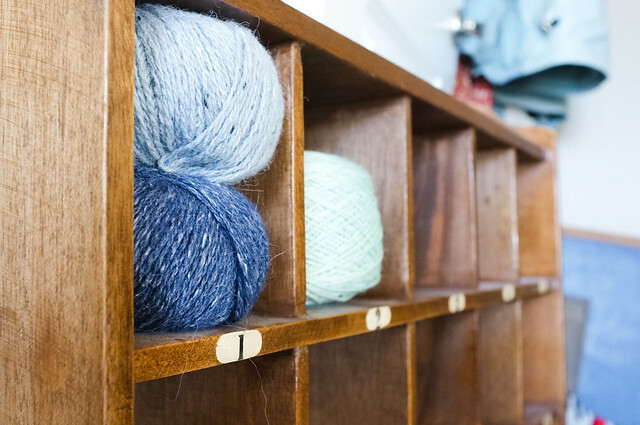 A wonderful little cubby to display yarn and collected baubles. I’ve set the desk in my entry dinning room, so as to force myself to keep it tidy. All is well in our house, we love the holiday season. I love the smell of pine and spruce, and the twinkling lights. I love the hot drinks and warm fires, and snuggly jackets. I love seeing my little ones wear hand-knit hats to school. Little Girl is now 3 years old!